Tell us about a volunteer, business or charitable organisation that has made an impact on your community and improved the lives of others. This is your opportunity to show just how much you appreciate them. The ‘Who Will Care?’ Awards is a county-wide volunteer awards for Essex. There are seven categories to choose from and nominations close on Friday 9 April. Individual – adult (18+). Volunteer aged 18+ who has demonstrated outstanding commitment within their community. This may be something they have done independently or in connection with a charity/community group or employer. Individual – young person (under 18) (Sponsored by Seetec). Volunteer aged under 18 who has demonstrated outstanding commitment within their community. This may be something they have done independently or in connection with a charity or community/youth/school group or employer. Individual – overcoming adversity (Sponsored by Runwood Homes). 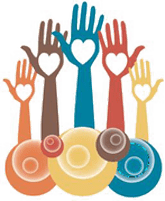 A volunteer of any age who has continued to volunteer within their community (independently or with a charity or community group) while facing challenges in their own personal life. Team Volunteer Award. A group of two or more volunteers of any age who have made an outstanding contribution to their community either independently or with a charity, community group or their employer. Voluntary and Community Sector Award. Open to Charities and Community Groups who are able to demonstrate outstanding service delivery to support their community and/or service users. Innovation Award. Open to Social Enterprises, commercial organisations and individuals of any age who can demonstrate innovation in developing a service/project to support the community. Find out more and download application forms from the Castle Point AVS website. The Culture in Essex Small Grants Schemes are funded and run by Essex County Council, offering one-off project support to arts and culture projects within Essex. Grants of between £250 – £2,500 are available for projects and up to £250 for personal development. The deadline for 2016/17 is the 31st March 2016. Awards of up to £2,500 are offered to projects which meet the schemes criteria. Please ensure that you read the guidance notes before completing an application form. For more information please email [email protected].